The 1000 Series Soprano Metallophone is a lightweight and easily portable diatonic instrument. The solid pine resonator box is compact with integrated handles for easy movement, making it perfect for circle time activities. 16 bars 30 x 6 mm made of aluminum. 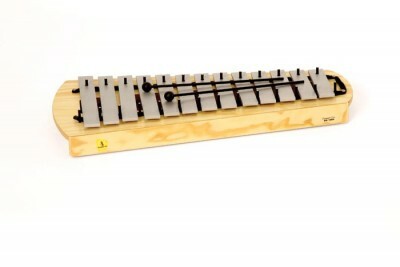 Includes F# and Bb bars and 1 Pair of CS 55 mallets. 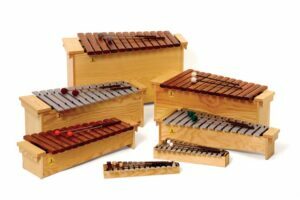 Click here to sign up for the latest Orff teaching tips and lesson plans. Erik H. loves STUDIO 49 instruments because even after decades of use, they still sound amazing! The quality of the materials will keep your ensembles sounding great for years. James E. loves STUDIO 49 because they are the world’s top Orff instrument company. His classroom would not be complete without his STUDIO 49 instruments. Jenny C. loves STUDIO 49 because the instruments are of high quality and consistent in their tuning. If you take care of them, they will service you and your students for a very long time! 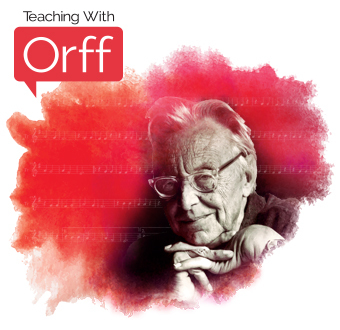 Sign up for the latest Orff teaching tips and lesson plans.